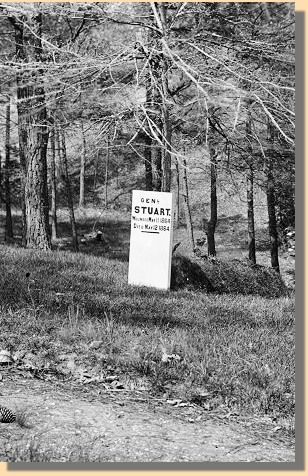 Born February 6th, 1833, in Patrick County Virginia, Stuart, after graduating from West Point, served in the Mounted Rifles until 1861, when he joined the Confederacy. As a cavalry officer, Stuart commanded Lee's mounted units, and provided the "eyes" of Lee's Army of Northern Virginia . In 1862 he became famous for his reconnaissance-in-force , riding, with 1200 men, completely around the Army of the Potomac under Union General George B. McClellan. 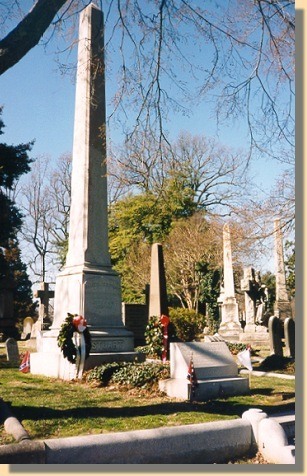 Until his death in 1864, Stuart played a major role in all of Lee's battles. At Chancellorsville, Stuart replaced Stonewall Jackson, who was mortally wounded , and commanded his corps competently. However, Lee returned him to the calvalry because he was more valuable there. At Gettysburg, Stuart, due mainly to ambiguous orders, made a controversial raid around the Federal army, leaving Lee "blinded" as to what the Federals were doing. 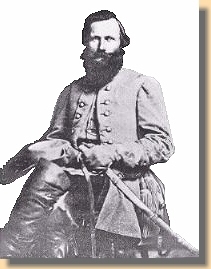 Although some historians believe that the Confederate defeat at Gettysburg was primarily Stuart's fault, John S. Mosby, the Gray Ghost, wrote a persuasive defense of Stuart after the war. 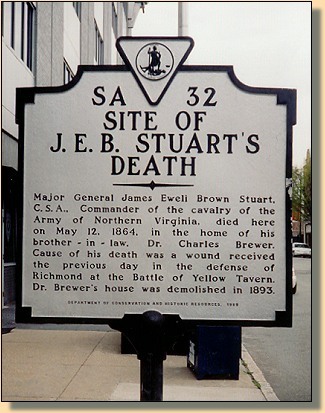 On May 11, 1864, at Yellow Tavern, outside of Richmond, Virginia, Stuart was mortally wounded. He died the next day. Near a major Richmond area shopping center and the J.E.B. 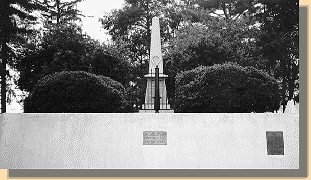 Stuart parkway stands this monument, in a Henrico County residential area, marking the location where J.E.B. Stuart was mortally wounded. Location of the J.E.B. 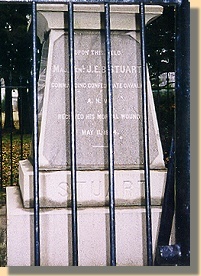 Stuart Monument, shown above. Richmond where he died in the home of his brother-in-law. Left, 1865 temporary marker; Right, final monument.